At Heathmont East Primary School we believe Physical Education is an essential part of our students’ health and development. 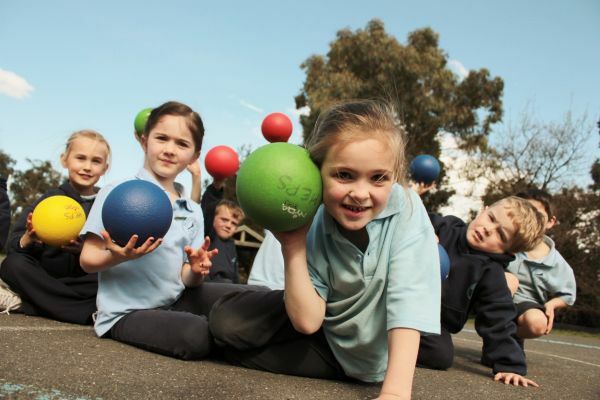 We provide a sequential Physical Education program aimed at introducing, developing and refining a range of sporting skills, values and behaviours which will enhance students’ lives. Our weekly lessons aim to encourage and promote physical activity through individual and team activities. We believe HEPS students learn best in a supportive, positive and challenging environment in order to reach their full potential. Students are also encouraged to participate in a range of sports activities such as Summer and Winter Interschool Sport, Cross Country, Athletics, Swimming, Bike Education, HEPS Harriers Running Club and many more, primarily for fitness, enjoyment, socialisation skills, sporting etiquette and to learn skills to assist them in physical performances throughout their lives. At Heathmont East Primary School we value every student’s contribution to sport. We encourage all students to take pride in their accomplishments and in their improving skills, regardless of results, choosing to focus on personal best achievements each time. Good sportsmanship is most important at HEPS. Achild who practises good sportsmanship is likely to carry the respect and appreciation of other people into every other aspect of their lives. Winning is worth aiming for but is not the ultimate goal at HEPS. We encourage fairness alongside enjoyment and emphasise fun and fitness whilst refining our sporting skills.